It's in the material under your feet, what's behind the paint on the walls, the type of insulation and in the design, specifications and orientation of the building itself that determines a true sustainable home for the future. It doesn't come in a kit and you can't tell from just looking whether it's a six star rating or zero. The star rating system is just a basic guide anyway. There are many complex issues and much misinformation on the road to a solid sustainable result - unless of course you consult Energy Efficient Property Solutions. We make it all very simple. We balance the costs of proven energy saving materials and design against the ever escalating price of energy supply. We embrace your location and budget to deliver a home that will not only be outstandingly energy efficient to run, but will be worth more - a lot more- when you come to sell in the long run. The Governments' 6 star energy rating system is just a basic start. Although this is a start, it is just a software program that gives a star rating, there is no correlation between the star rating and the REAL EFFICIENCY of the building. Many projects advertised with these ratings still have a lot of faults. The building process can be more stressful than a death or divorce in the family, and for the average family it can become a total nightmare. By planning the home from the ground up we help to minimize the stress and anxiety for you, including all the details from land selection up to signing the building contract. A building contract is not signed until all details are in place. Land - It all starts with the land. Choosing a site with the best orientation to suit a low energy home, or if land is already held then making sure that the design maximizes the building's potential. Design - the design must include all of the attributes that will enable it to work efficiently. This will be influenced by factors including the aspect of the site, personal choice of the style and character you like, placement of the rooms, building materials, orientation, window size and shape, shading and a myriad of other details. Size - it is critical that the size of the home is only what is needed for the family. For example 20sq - 25sq is perfecetly adequate for a family of two adults and two children. 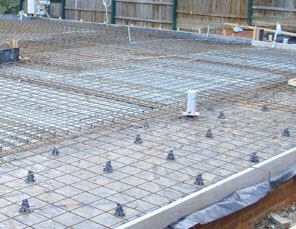 All houses should now be under 30sq maximum, any larger is a waste of materials and a waste of energy to run them. Larger houses will eventually be unacceptable in the market place and their resale value will be diminished. Style - a low energy home can be any style or character you wish. From a cutting edge contemporary to colonial or ranch style, a conventional home or one with period features. Materials - the type of materials, products, fixtures and fittings, and how they are used together is a very important ingredient in the mix to get it right. Materials can vary widely so their use is critical. Heating and Cooling - a properly designed and built home will only use a minimum of heating and cooling. For example most new homes should not need a large ducted heating system. The Builder - Building companies vary greatly, and there are some shockers out there, so selecting the right one for your project is also another critical ingredient in the process. You don't necessarily select the cheapest, middle priced, or dearest one for the job, but you choose the most suitable for your project, one with the right experience and most importantly the right attitude. The best builders are usually the small to medium sized firms where the owner of the business takes a personal interest in your project. Paperwork - Contracts, plans and particularly specifications have to be gone over in great detail in order to minimize later problems. The specifications in particular must be very comprehensive and accurate in detail. If a builder ever says "we'll work that out later" then that item will most likely turn out to be a problem. 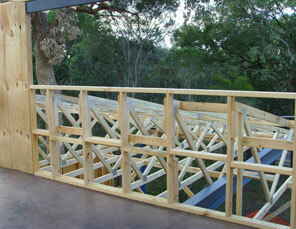 We work for YOU the home owner, not the builder, architect, council or others involved with the process. We pre-plan the project for a sustaunable future, and help you through the process up until signing of the building contract. 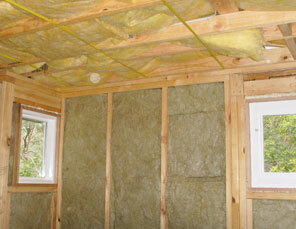 Every energy efficient home must be custom built to suit the site. Our service will help you to co-ordinate and streamline the process from selecting the right piece of land, (if don't already have it), getting the energy efficient design right for the site, preparing an outline plan showing the room positions, window schedule and other features, choosing the right products and materials for the building and helping with the choice of architect or drafting service, builder and pricing. Our service will save you hours and hours of time and frustration with the whole process. Thereby achieving your goal much quicker and less stressed. Through our associated estate agency business Coultons Melbourne (members of the Real Estate Institute of Victoria) we can also arrange the sale or leasing of your existing home so that the changeover happens smoothly. With over 40 years in the property industry we are well qualified to assist with all of your new home needs. 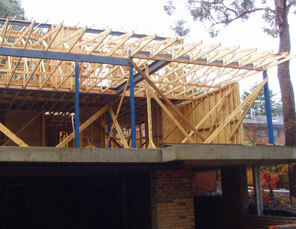 Contact Graham Coulton on 0411 198 452 for a free consultation to discuss your new home project. Energy Efficient Property Solutions is proudly an Australian owned business.